Nowadays, to a significant extent, cloud computing usage is increasing because of its enormous features such as resource sharing, on-demand resource provisioning, and virtualization. To provide the resources to the user according to their requirement, the client’s applications must be scheduled in an optimized way. A rapidly increasing number of users causes a huge amount of energy consumption while executing the task. The temperature of the system increases as there is a drastic increment in power density. Energy and temperature both are related to power consumption. Moreover, cloud servers are prone to failure, so it needs extra computation time to handle the failure. 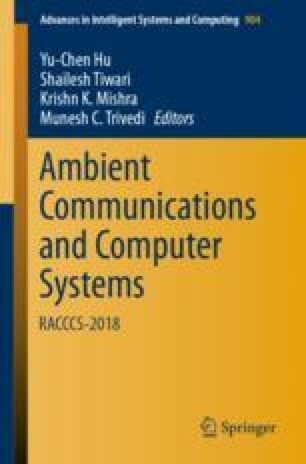 In this work, we proposed a scheduling algorithm which optimizes three conflicting objectives, i.e., reliability maximization, minimum energy consumption, and temperature consolidation in the cloud. The failure model used in our work is Weibull failure distribution that considers the effect of aging on the performance of the system. The simulation results show that the algorithm reduces the energy consumption while scheduling the task to the reliable virtual machine with less temperature consolidation.